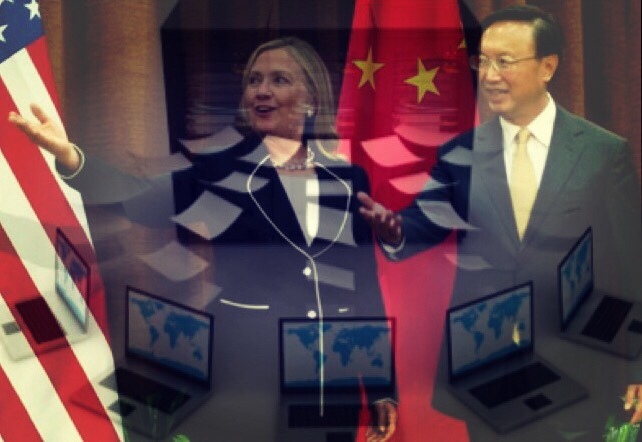 Two sources that were briefed on the situation told The Daily Caller that a Chinese-owned business operating in the D.C. area penetrated Hillary Clinton’s private server and inserted code that forwarded copies of Clinton’s emails to the Chinese company in real time. The Chinese wrote code that was embedded in the server, which generated an instant “courtesy copy” for nearly all of her emails and forwarded them to the Chinese company. The source also said that two ICIG officials, investigator Frank Rucker and attorney Janette McMillan, warned FBI official Peter Strzok and three others “repeatedly” about this, but they failed to act. They would not divulge the name of the Chinese company, but they did say it was a “front group” for the Chinese government. Hillary’s spokesperson, as expected, refused to even entertain the possibility of foul play. “IC IG was involved in the review of certain information drawn from the private email server,” an agency spokeswoman told The Daily Caller. The treasure trove of incriminating evidence that has accumulated over the last year makes it pretty hard for anyone to deny the deep state’s attempt to overturn Trump’s victory. Just last week, Real Clear Investigation’s Paul Sperry, released a painstaking and fascinating review of the FBI’s casual treatment of the Clinton emails that turned up on Anthony Weiner’s laptop six weeks before the election. After dragging their feet, they finally performed a cursory review although most of the emails were not even looked at. And now, if this report is true, it’s clear that Hillary’s “gross negligence” in handling classified information has compromised our national security. How about appointing a special counsel to investigate Hillary Clinton? At the very least, it might keep her from running again. Contributed by Elizabeth Vaughn of Freedom Outpost. Next Were 18 To 20 CIA Sources Killed Or Imprisoned Because Hillary Clinton’s Emails Were Being Hacked In Real Time By China?